NH Lakes Region Real Estate is your source for Waterfront Property! Deal with one of the top Realtors® in Lakes Region for vacation homes sales. All the MLS listings are in this website! We cater to the needs of Buyers of waterfront real estate, and lakefront Homes. We offer complete relocation services, and attention to detail. We believe buying Real Estate should be exciting and fun! Here is the quickest way to search all Lakes Region Real Estate. $150,000 Meredith NH Bedroom | 0 Bath/s Land with feet of ROW private shoreline on Lake Lake Winnipesaukee . $299,900 Meredith NH 3 Bedroom | 3 Bath/s Home . $1,495,000 Ossipee NH Commrcial . $1,495,000 Ossipee NH Bedroom | 0 Bath/s Land . $795,000 Alton NH Commrcial . $795,000 Alton NH Bedroom | 0 Bath/s Land . This Waterfront property is a 4 Bedroom with 2 Bath/s home for sale with waterfrontage of 100 feet of Owned private shoreline on Lake Balch Lake. This Waterfront property is a 4 Bedroom with 3 Bath/s home for sale with waterfrontage of 200 feet of Owned private shoreline on Lake Halfmoon. This Waterfront property is a 2 Bedroom with 1 Bath/s home for sale with waterfrontage of 105 feet of Owned private shoreline on Lake Winnipesaukee. See 40 Images and a Virtual Tour.. This Waterfront property is a 2 Bedroom with 2 Bath/s home for sale with waterfrontage of 100 feet of Owned private shoreline on Lake Winnipesaukee. See 37 Images and a Virtual Tour.. This Waterfront property is a 5 Bedroom with 2 Bath/s home for sale with waterfrontage of feet of Owned private shoreline on Lake Silver Lake. This Waterfront property is a 4 Bedroom with 2 Bath/s home for sale with waterfrontage of 150 feet of Owned private shoreline on Lake Winnipesaukee. This Waterfront property is a 3 Bedroom with 2 Bath/s home for sale with waterfrontage of 50 feet of Owned private shoreline on Lake Winnipesaukee. This Waterfront property is a 3 Bedroom with 1 Bath/s home for sale with waterfrontage of 118 feet of Owned private shoreline on Lake Balch Lake. This Waterfront property is a 2 Bedroom with 1 Bath/s home for sale with waterfrontage of 244 feet of Owned private shoreline on Lake Lake Winnipesaukee. See 18 Images and a Virtual Tour.. This Waterfront property is a 2 Bedroom with 1 Bath/s home for sale with waterfrontage of 100 feet of Owned private shoreline on Lake Ossipee. This Listing was entered in the MLS on Friday April 19th 2019. See 40 Images . This Listing was entered in the MLS on Thursday April 18th 2019. See 40 Images . This Listing was entered in the MLS on Tuesday April 16th 2019. See 40 Images . This Listing was entered in the MLS on Tuesday April 16th 2019. See 16 Images . This Listing was entered in the MLS on Monday April 15th 2019. See 29 Images . CLEARED AND LEVEL CORNER LOT IN MOUNTAINSIDE WITHIN 4.5 MILES OF LAKE SUNAPEE AND 7 MILES FROM MT SUNAPEE RESORT &amp; ADVENTURE PARK. FOUR BEDROOM SEPTIC DESIGN, DRILLED WELL ON SITE, PAVED ROAD FRONTAGE, HISTORICALLY A LOWER TAX RATE TOWN, LOCATED IN AN AREA OF FINE HOMES WITH MANY BEING THE TRADITIONAL NEW ENGLAND STYLE HOUSE. This Listing was entered in the MLS on Apr 04, 2019. See 4 Images . KNOX MOUNTAIN SPECTACULAR VIEWS! ONE OF TWO ABUTTING LOTS AVAILABLE WITH AMAZING MOUNTAIN AND OSSIPEE LAKE VIEWS. LOCATION OFFERS PRIVACY, SERENITY AND VIEWS TO PLAN BUILDING YOUR PRIMARY DREAM HOME OR TRUE GETAWAY ON 35 ACRES. THIS LOWER LOT OFFERS THE ACCESS TO ALL NEARBY AMENITIES THE AREA PROVIDES. LAKE ACCESS IS NEARBY, ALONG WITH KAYAKING, SKIING, GOLFING, SHOPPING, RESTAURANTS, MARINAS &amp; MORE. A SHORT DRIVE WILL TAKE YOU TO WOLFEBORO, CONWAY, 1 1/2 HRS. TO PORTLAND ME., 2 HRS.+/- TO THE BOSTON AREA. SPECIAL SITE IS CLEARED TO TAKE ADVANTAGE OF THE EASTERLY VIEWS AND ENJOY THE TRANQUILITY THIS PARCEL HAS TO OFFER. This Listing was entered in the MLS on Feb 09, 2019. See 1 Images . This Listing was entered in the MLS on Apr 09, 2019. See 1 Images . DANBURY - RARE GENTLY SLOPING, SOUTH-FACING FOR THIS 22+ ACRE TRACT WITH STREAM ACROSS NW CORNER IN THE HOYT BROOK VALLEY AT THE END OF A DEAD-END PUBLIC CLASS VI ROAD MAKES THIS THE PLACE TO GET AWAY FROM IT ALL. 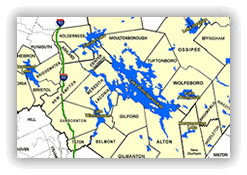 FROM THIS LOCATION THERE IS EASY ACCESS TO SHOPPING AND SERVICES IN BRISTOL, NEW LONDON AND THE UPPER VALLEY. RECREATIONAL OPPORTUNITIES ABOUND. FOUR LOTS OF RECORD. NEWFOUND LAKE, GRAFTON POND, SKIING AT RAGGED MTN. AND MT. SUNAPEE, THE NORTHERN RAIL TRAIL FOR SNOWMOBILING, BICYCLING AND THE SMITH RIVER A STOCKED TROUT STREAM. ADDRESS IS ESTIMATED 9-1-1 LOCATION, SUBJECT TO CHANGE. SORRY, DRIVE-BY VIEWING NOT POSSIBLE. PLEASE HEED DIRECTIONS. ASK FOR LARGER, HIGH RESOLUTION MAPS AND AERIAL VIEWS. This Listing was entered in the MLS on Mar 28, 2019. See 8 Images . This Listing was entered in the MLS on Feb 22, 2019. See 16 Images .